Product Description Sparkling Style. Beautifully cut and crafted, the Crystal Globe table lamp adds a little glimmer to any space. The elongated egg shape is fully decorated with stunning jewels. 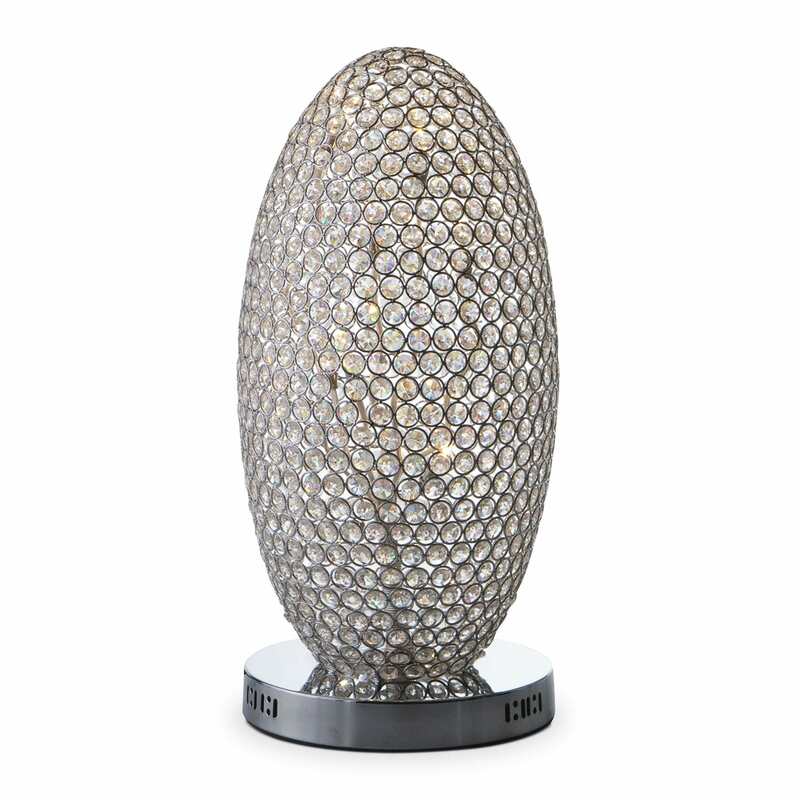 Unique Features: Distinctly designed and beautifully cut in chrome with crystals, this accent lamp adds a layer of sparkle to everyday light. Lamp uses four 40-watt maximum bulbs. Includes an on/off cord switch for added ease and convenience.